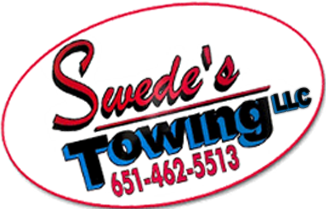 Swede’s Towing, LLC is a locally owned and operated company that has provided reliable towing service more than 25 years. During that time, we have stood out from the competition by offering the highest-quality services to the community. When you need towing and roadside assistance and affordable car repair in Wyoming, MN, we are the name you can trust. In addition, we offer affordable wrecker services and cash for cars. Reach out to us for a fair estimate on our fast service. A vehicle problem rarely happens at an ideal time or place. We provide 24-hour emergency roadside assistance in the surrounding areas so you can enjoy peace of mind when unexpected problems strike. Don’t flag down another driver to help if you’re stuck on the side of the road. We have a better, safer, and more reliable way to address the issue. Get help when you need it most by trusting our team to get you out of a bind. Call us at (651) 462-5513 for punctual, cost-effective roadside services. Did you leave your car keys in the ignition with the door locked? It’s not a problem when you contact our skilled technicians. We use an auto lockout toolset and an air or plastic wedge to gain access to your car. Because we use state-of-the-art tools, we open cars without damaging them. There’s only so far you can go if you’re running on fumes. When your vehicle has come to a standstill, contact us. We’ll be out to your location right away to add gas to your tank. In addition, if you need auto repair, our friendly technicians are happy to tow you to the repair shop. Best of all, we offer our services at competitive rates. That means that our worry-free roadside assistance isn’t going to break the bank. There are any number of reasons why your vehicle may stop functioning properly when you least expect it. The good news is that we are prepared to deal with every situation you may find yourself in. Flat tire, mechanical problem, low fluid: whatever has caused your car’s malfunction, our team responds promptly to your car and provides the right solution for your specific issue. Find out why more residents dial our number when they’re stuck on the road by calling us the next time you’re stuck on the road. We pride ourselves on professional courtesy, timely assistance, and superior customer care. You have a friend on the road when you call us with your car troubles. Regardless of when, why, or where you experience a problem, we respond quickly to your needs and provide courteous roadside assistance. Rest assured that you’re in good hands with us if you encounter problems with your car while you’re out and about. We are fully committed to showing each customer the same high standard of service that has established our reputation in the community. Remember: we are the company you can trust to get you out of trouble fast. When it comes to wrecker service, auto recovery, engine starting assistance, emergency refueling, and more, no one gets the job done quicker than we do. We are fully dedicated to your safety and well-being on the road. Contact us for 24-hour roadside assistance when your ride has suffered from rigors of the road. We proudly serve vehicle owners throughout Wyoming, Minnesota, and the surrounding areas.